Good news for the travelers and explorers, we have some amazing resort recommendation for you and your family. The ambiance, climate, and comfort are simply the best at these selected places. Moreover, these are affordable even if you wish to take your family or group of friends along on a holiday trip. 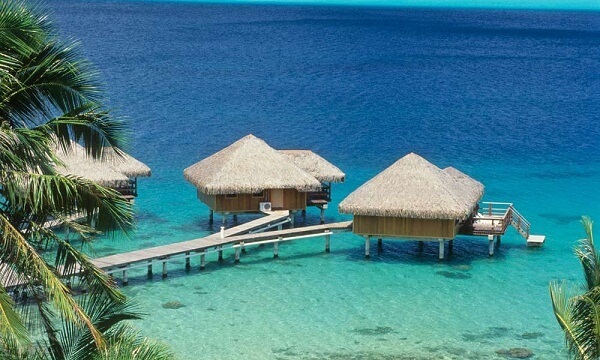 Check out the number of most affordable overwater bungalows in the world. 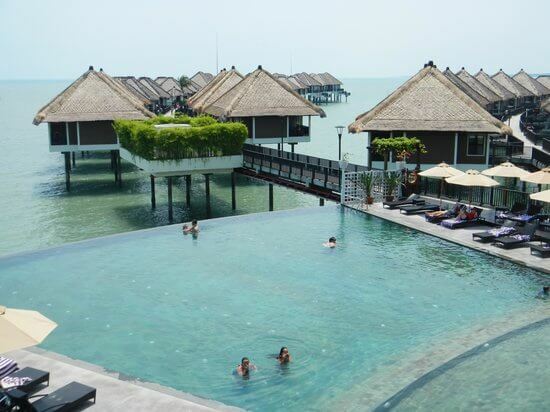 The property is huge and vast with 392 water villas ranging up to 3 bedrooms. It is an excellent choice for affordability. From calm lagoons to colorful marine life, everything makes a perfect excuse to be here. Avani is one of the cheapest overwater bungalow resorts in the world. The resort is known for its gorgeous 6 overwater bungalows with basic amenities. You get to experience a serene environment around with a good crowd during your stay. It is known to be amongst the cheapest overwater bungalow resorts in the world. This huge property is scattered over 522 overwater villas and has its own private splash pool. Enjoy great splash pools, luxurious rooms, and modern amenities all at one place. 68 semi-detached water bungalows and 358 island rooms await your presence at the Sun Island Resort & Spa. The private terraces and luxurious bathrooms make it a perfect excuse for the stay. 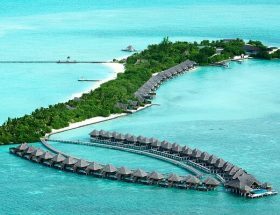 It comes in some of the budget friendly water villa resorts in the world. Get ready to pamper yourself in these 48 water villas. These are huge, spacious, luxurious, and private. 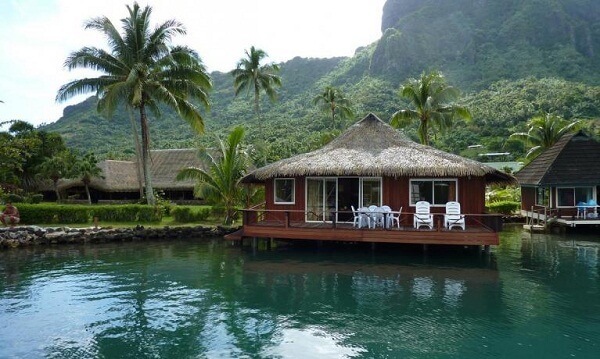 Go for these budget friendly overwater bungalows in the world. 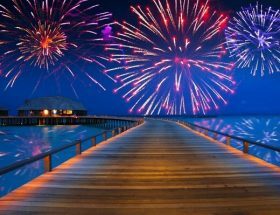 The Island Resort is a perfect place for every ocassion, including but not limited to birthday celebrations, vacation / holiday, wedding anniversary, and honeymoon. 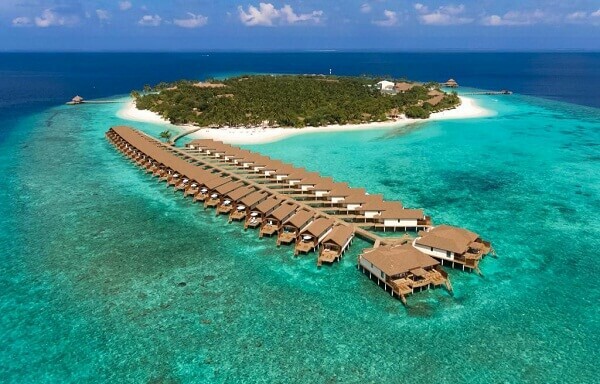 The resort features 8 overwater villas and 8 overwater deluxe villas at a distance of the island. 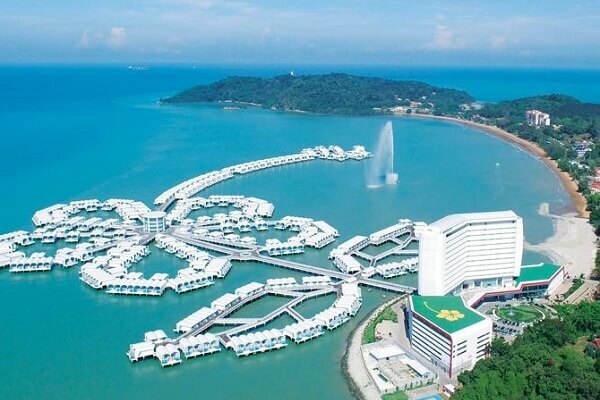 It also has 29 island rooms to make it more exciting for the guests to stay. Just perfect for a honeymoon couple. 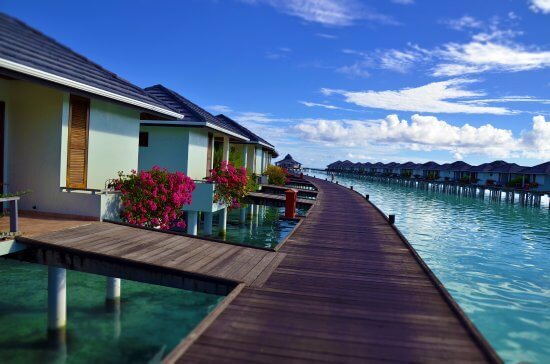 Enjoy these great budget water villas in the world. 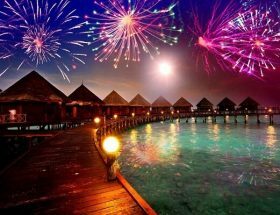 It is one of the most budget friendly places to spend your honeymoon in the Maldives. 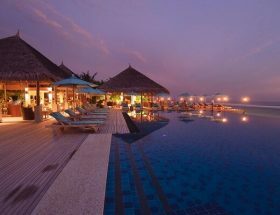 Experience the joy of staying in a scattered luxurious property with over 106 water villas, 200 beach and island villas. Enjoy great deals and discounts during off season. We strongly recommends you to spend your holiday at the cheapest rates available. 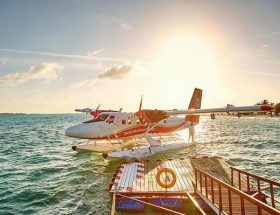 It is considered as one of the most budget friendly and affordable overwater island resorts in the Maldives. 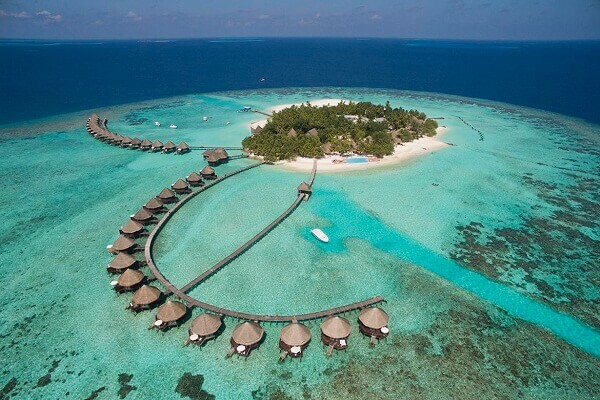 Thulhagiri Island Resort – Maldives has 34 water bungalows and 52 island rooms to stay. Enjoy a great breakfast freshly prepared for the guests. It is also comparatively nearer to Male International Airport. If you are looking for budget friendly island resort, then Thulhagiri Island Resort is the perfect choice among the holiday makers. 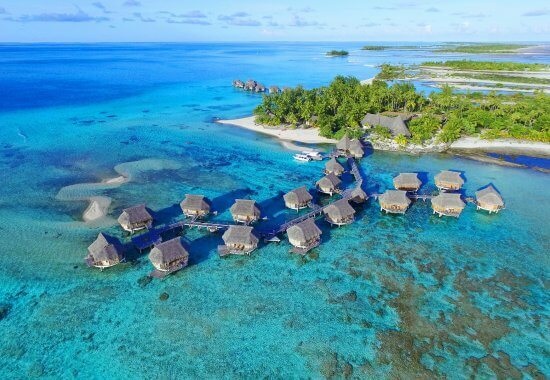 Enjoy a great stay at 24 water bungalows out of which some rooms have steps leading down into the crystal blue lagoon. It is amongst the recommended cheap overwater bungalows in the world. We are sure, you would have an excellent holiday here. 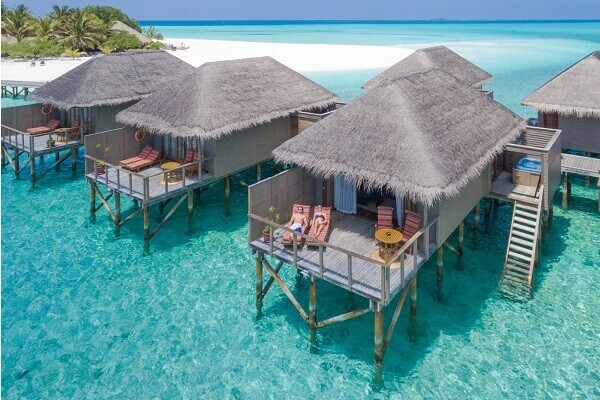 It is one of the cheapest overwater villas in the world. This 3 star property has all that it takes to be in the 4 to 5 star rating resorts in South Pacific. It is an ideal location for the romantic couples and families. It’s a good place on Valentine’s Day, Eid celebrations, Christmas, and New Year too! 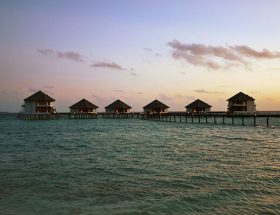 Enjoy these affordable luxurious overwater bungalow resorts in the world and plan your stay soon! 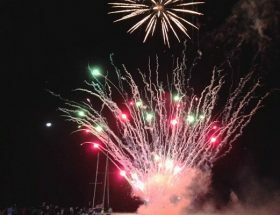 Article first published on January 26, 2019. Are Overwater Bungalows Even Worth It? Is Overwater Villas Really Worth It?